I came across this book via an enticing review at Tony’s Book World and ordered a copy the same day. I was intrigued because I had not long finished reading Wittgenstein’s Tractatus Logico-Philosophicus, a self-inflicted challenge imposed by signing up for a year-long course called Great Books at my alma mater, the University of Melbourne. Most people, I suspect, would be more familiar with Wittgenstein from his appearance in the Monty Python skit below, and unless you are deeply into philosophy of the most exacting kind, I recommend that you stick with the Pythons. But the novel is a delight. Narrated by a Cambridge student called Peters, it tells the story of a group of undergraduates and their perplexed response to the tortured musings of their philosophy lecturer, whom they nickname Wittgenstein. Wittgenstein’s been teaching us for two weeks now. Was it Ede’s idea to call him Wittgenstein? Or Doyles? He doesn’t look like Wittgenstein, it’s true. 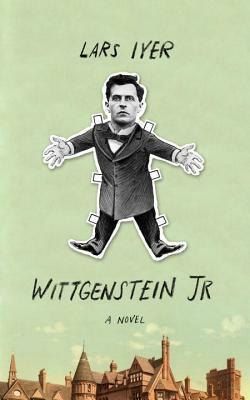 He’s tall, whereas the real Wittgenstein was small. He’s podgy, whereas the real Wittgenstein was thin. And if he’s foreign – European in some sense – he has barely the trace of an accent. But he has a Wittgenstein aura, we agree. He is Wittgensteinisch, in some way. He has clearly modelled himself on the real Wittgenstein, Doyle says (and Doyle knows about these things). He dresses like Wittgenstein, for the one thing – the jacket, the open-necked shirt, the watch strap protruding from his pocket. And he behaves a bit like Wittgenstein too: his intensity – his lips are thinner than any we’ve seen; his impatience – the way he glared at Scroggins for coming in late; his visible despair. This brief extract has introduced us to a couple of Peter’s undergraduate pals, the remnants of a class which began with 45 students but dropped to 12 because Wittgenstein is incomprehensible and by modern standards, his classes are dreadful. (Where’s the handout? the list of key concepts? the PowerPoint? the virtual learning environment??) What’s left of the class includes the indistinguishable Kirwin twins who are only interested in sport; and Okulu, who listens to Brahms on his headphones during lectures. Doyle (often in velvet) and Guthrie are keen on drama so their rooms are frequently the venue for rather droll alcohol-induced re-enactments of seminal moments in philosophy such as the death of Socrates or The Madness of Nietzsche. Mulberry is distinguishable by his collection of t-shirts, all variations on a theme of F-you; and Titmuss has come back from his gap year in India with dreadlocks and a hippie attitude. Ede has an aristocratic lineage to live up to so he wears sports jackets, fending off enquiries about what it’s like to be really posh. All of England was once a lawn, Wittgenstein says, The whole of the country, with its uplands and lowlands, with its suburbs and towns, was once the quintessence of lawn. The English lawn ran right into the Houses of Parliament. It ran right into Buckingham Palace, into Whitehall and the Law Courts. And into the media empires and the great publishing companies. The English lawn rolled up to middle-class houses, just as it rolled up to aristocratic mansions. And even if it was halted by working-class concrete, it ran nonetheless through the heads of the working classes, just as it ran through the heads of the middle classes and the upper classes – a timeless idea of England. Did we realise that it was for the green peace of meadow and hedgerow that English soldiers defended their country from foreign invaders? That they conquered the world to spread the English lawn, in India and Kenya? That they quashed the Peasant’s Revolt for seeking equality on the English lawn? And that lawn is at its most lush in the universities? The old dons lived out their lives on the English lawn. They sipped warm beer and watched cricket on the English lawn. They munched crustless sandwiches at garden parties on the English lawn. And one day they were laid to rest on the English lawn. Alas for Wittgenstein (and the rest of us too), the days of the old dons are over. Today, they network, they bid and they do it in a monetised Cambridge. They use phrases such as learning competencies. *profound sigh* Wittgenstein thinks that they are telepathically connected, so similar do they seem to him in manner and thought. And they are out to get him, ready to pounce. And the philosopher-dons are the worst of all, he cries. Amber, 6 weeks old, two weeks before coming to her new home with us. Lars Iyer is a lecturer in philosophy at Newcastle University (not ours, the one in the UK). I suspect that much of what he writes in Wittgenstein Jr is eerily true-to-life. 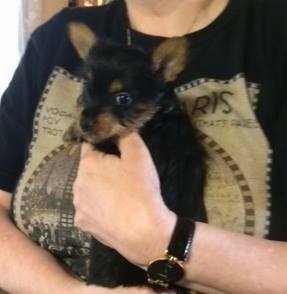 I shall road-test this theory by reading the novel to The Spouse (who studies philosophy at Monash) as we drive up to Smythe’s Creek on Sunday to collect our new Silky Terrier puppy, Amber. It’s a four hour drive, but it’s only a short book (225 pages, with lots of white space because it has lots of very short chapters/episodes, some only half a page long). Do read Tony’s review, and this one at the Telegraph. Oh My, what a delight! I’m ordering it immediately. And Amber looks like a delight as well. Lucky you. LOL, I’m sure I can dream up a ‘relevant’ reason to include updates about Amber as time goes by. I must read this. My philosophy group has been reading Wittgenstein for two years now and only halfway through . I do love the man. Two years, yes, I can understand that. While I thought that most of the ‘great books’ chosen by UniMelb were good choices, I felt that the Tractatus was not, because it’s not a book you can read over a month and expect to understand if you don’t have a background in philosophy. After all, even Bertrand Russell said it was hard to understand. We have been reading the Philosophical Investigations which are much easier to get to grips with and in which he goes right away from the Tractatus position. Russell was disgusted with him, said he’d given up doing philosophy! But The Spouse is doing the Ancients at Monash this year (2nd year Philosophy) and I think I might read some of what he is reading to get a basic grounding first. I did Philosophy of Education years ago, but I haven’t done any systematic reading in philosophy and when I read The Philosophy Book (which I reviewed here last year) I decided then that I wanted to read some of the key thinkers in chronological order so that I could see how they built on each other’s work. I think I’ve told you before about Peter Adamson’s History of Philosophy Without Any Gaps podcasts. Just wonderful. Yes, thank you, and I did listen to a couple, but I found that the aural presentation didn’t suit me, I’m better with books for this kind of thing.